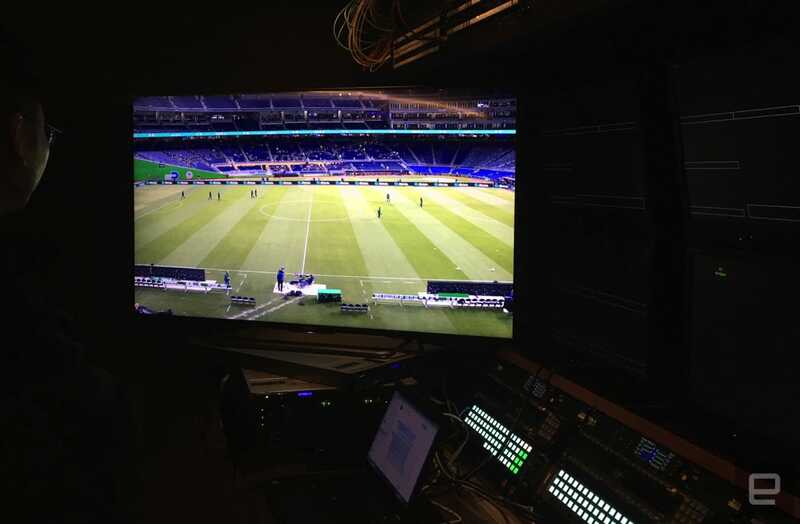 This week, during an exhibition football (soccer) match between Mexico and Senegal in Miami, Univision Deportes tested its first-ever live 4K stream. NeuLion, which was responsible for encoding the signal and pushing it to an Android TV app, claims that hadn’t been done for sports before in the US. The firm says it previously worked with BT Sport, a channel from the United Kingdom, on streaming a couple of 4K NBA Games in London, but those weren’t available for the public to watch. Although what Univision Deportes tried on Thursday was also done behind closed doors, I was allowed behind the scenes to watch it happen. To be clear, it wasn’t a broadcast, but rather an internet stream, not unlike watching a 4K show on Netflix or Amazon Instant Video. The main difference is that the game was streamed in real time. To make that possible, Univision says it made a “significant” production investment, though the company declined to say how much money it spent. What we do know is the Spanish network used six Sony HDC-4300 4K cameras and a new control room on-site at Marlins Park, with each piece of the setup designed to support 4K content. For example, the network needed to make higher-resolution lower third graphics (pictured below) for the live feed, as well as hire someone who could handle the 4K switcher. We were told there are only two people in the world capable of doing that, and one of them was in the Univision Deportes control room for the event. That’s how tough it is to put this kind of production together. “For the last few years we have been incredible innovators in the world of soccer,” says Juan Carlos Rodriguez, president of Univision Deportes, about the network’s decision to produce a live 4K stream. “We strongly believe that by being the first ones, we let [others] know that there’s a serious testament and commitment from Univision into technology and the on-air experience. For the last few years we have been incredible innovators in the world of soccer. While the demo I experienced was focused solely on streaming, Univision Deportes’ bread and butter is still broadcast television. According to Univision, the pay-TV channel currently has 50 million subscribers in the US, taking into account viewers from Comcast, Dish, DirecTV, Time Warner Cable and other cable/satellite providers. That’s one of the reasons Univision Deportes chose to test a 4K stream. 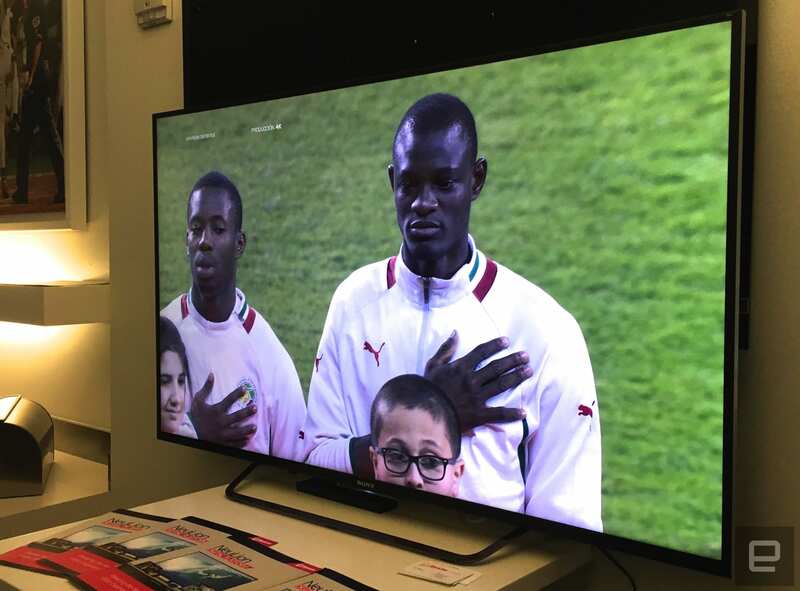 With a Sony UHD TV and a smart TV app, developed by NeuLion, I was able to watch Mexico vs Senegal in 4K (3,840 x 2,160) at 60 frames per second. As you’d expect, the video quality was fantastic. You could see the smallest of details on a player’s face, including blemishes and individual facial hairs; or, when the camera zoomed into the ball, how every strip of grass had tiny water drops from the humidity of the field. The stream went smoothly for most of the match (which Mexico ended up winning 2-0), with almost no dropped frames throughout. It wasn’t until shortly after the second goal that the image froze abruptly, but given that this was a trial, a technical difficulty was bound to take place. I also noticed an evident delay, magnified by the fact that I was inside the stadium and heard the roar as the crowd began to celebrate when Mexico scored. It took 45 seconds for the action from the pitch to show up on TV. Still, there’s plenty of time to work these kinks out. According to NeuLion, the Univision Deportes 4K app won’t be on Android TV for a few months, and don’t worry, its streaming tech (efficient video compression) won’t be limited to Sony smart 4K TVs either. Chris Wagner, NeuLion’s executive vice president and cofounder, says the company is currently working on a solution for the latest UHD televisions from LG, as well as Samsung’s Tizen OS-powered models. Right now, there’s not much (if anything) to which I can compare what I saw. The closest thing I can think of is Super Bowl 50 or March Madness 2015, two live events that didn’t go as smoothly as CBS Sports would have liked– and those streams weren’t close to being anywhere near Ultra HD quality. We reached out to the NFL and NBA to see if they had any plans for a live 4K stream of their own, but they did not share any information with us. In the end, Univision Deportes won’t be the only network to offer live 4K soccer streaming — it just happens to be the doing it ahead of its English- and Spanish-speaking competitors. When asked if fans of the sport should expect live 4K games by the 2018 World Cup in Russia, Wagner said, “The tech is all there, the platform is ready to go.” So you better hope there’s a 4K TV in your living room by then. And don’t forget a speedy internet connection (at least 20Mbps) — you’re definitely going to need that. 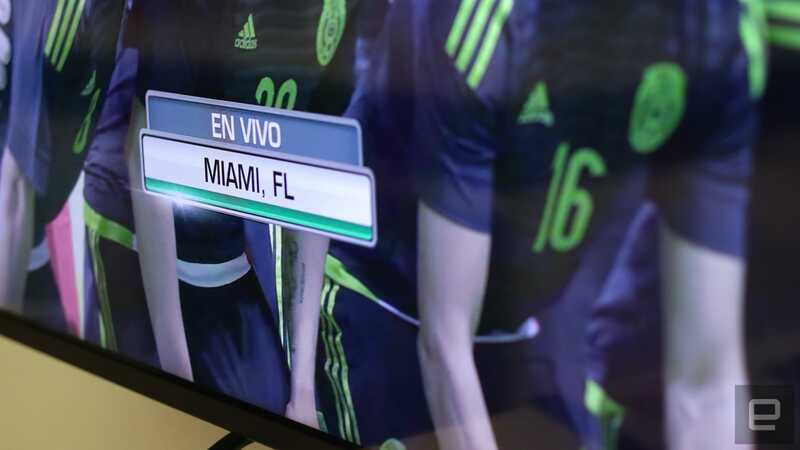 How Univision is beating the competition to 4K sports streaming.